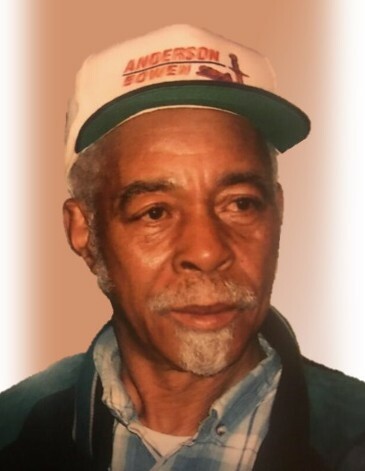 Obituary for James "Tip Top" Toney | Wright Funeral & Cremation Services, Inc.
James Toney, "Tip Top", 75, of Coatesville, PA, passed away Monday, April 1, 2019 at Brandywine Hospital in Coatesville. Born in Bishopville, South Carolina, he was the son of the late Calvin and Essie (Jenkins) Toney. He was the husband of Mary (Anderson) Toney with whom he shared 57 years of marriage. Mary would often greet him by saying, "Hi baby". James worked as a skilled carpenter for the Donald Reisinger Company of West Chester, PA, and was a heavy machine operator for other various employers throughout the state of Pennsylvania. James loved fishing, vegetable gardening, listening to his blues music; and he especially loved his animals and his pets. James was a person who never complained, although occasionally you may hear him say "you're aggravating me" or "I don't know". But mostly, he had a sweet, easy-going personality. James was preceded in death by his daughter, JoAnne Toney; brothers, West Toney and Calvin Toney; sisters, Essie Mae Toney, Agnes McCloud and Jannie Mae Toney-Johnson. In addition to his wife Mary Toney, he is survived by two daughters, Janet Pennington of Coatesville and Michelle Toney of Lancaster; two sons, Robert Lee Toney (Kianna) of Parkesburg, and Michael Smith of Coatesville; two sisters, Eliza Jane Fortune of Lamar, SC and Evalena Byrd of Pleasantville, NJ; 15 grandchildren, 30 great-grandchildren, 4 great-great-grandchildren and a host of nieces, nephews, cousins, other relatives and friends. Funeral services will be held 11 AM, Tuesday, April 9, 2019 at New Hope Glad Tidings Church of God, Inc., 80 Foundry Street, Coatesville, PA, 19320, with a viewing beginning at 9 AM until 10:45 AM. Interment will be held at New Evergreen Cemetery, Coatesville. Condolences can be shared on the online guest book. Flowers can be sent to the church on the service day.